All Seasons Equipment is second to none when it comes to sales, service and installation of Alignment Equipment. We carry state of the art computer technology with software packages that will make alignments the most productive service in any high volume shop. 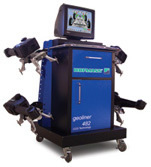 For lower volume operations that want the ease and convenience of a computer aligner at an affordable price we offer the CCD technology. 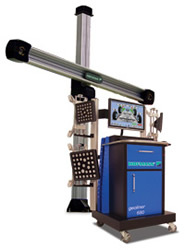 This system provides front and rear readings, SAI and thrust angles and measurements of front and rear toe. Let All Seasons Equipment be your supplier for the most up-to-date technology of Alignment Equipment, installation and training. Call for more information.